James Murdoch celebrates his 29th anniversary in the insurance industry. Jim began his insurance career in 1989 when he joined his father and brother in the family agency in Harrisburg. He brought the beginnings of technology to the agency and became a go-to person for other Erie agents when it came to computer and technology issues. Following his father’s retirement in 2000, Jim chose to pursue his own agency on the West Shore in Mechanicsburg. James B Murdoch Insurance Group, Inc. opened in October of 2000. In 2007, agency growth permitted the acquisition of its primary location at 4300 Carlisle Pike, Camp Hill PA 17011. In 2016, agency growth opened its 2nd location at 75 S Houcks Rd, Ste 301, Harrisburg PA 17109. As President of his company, Jim takes great pride in providing the direction for growth of the agency. At its core, the agency uses technology to provide its clients the top notch service, while bringing the best possible products to fit the needs of the customer. Today, the agency is 100% automated with an entire paperless system, cloud computing services, voip phone services, electronic newsletters, website integrations, social media, and much, much more for the benefit of all clients.… Jim served as past Chairman of Erie Insurance Group’s Information Technologies Task Force & Operations Task Force. 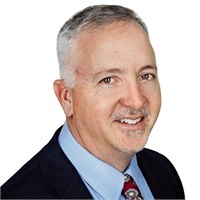 Jim’s primary objectives for his agency’s continued success is to develop agency policies and procedures, manage key-client relationships, control insurance market and vendor relationships, and provide strategic direction to a growth-oriented company. Jim is an avid road cyclist and enjoys his annual trek to the New Jersey Shore on his self-powered two wheels. He is married with 2 children and 3 step-daughters.